Nick Djordjevic was born in Sydney, New South Wales, Australia, in 1950 and moved to Perth in 1974. Nick suffers from severe Psoriatic Arthritis - a condition where inflammation of the joints is accompanied by inflammation of the skin and Fibromyalgia associated with Chronic Fatigue Syndrome. It came on suddenly when Nick was 33 years old. An important part of his recovery was taking up photography - a distraction for the pain. He started out using his images as photographic therapy, an expression of his inner rage and frustration. Now he has developed his photography into an art form where it's a method of focusing and managing his pain. Initially, photography was a tool for dealing with the grief and pain of arthritis. Now photography is integral to his mental well-being and sense of self. He has learnt to live with the pain. It no longer is a mental torture and he has used photography as a focus. 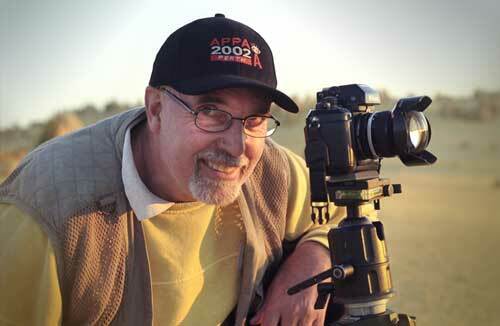 Nick is one of Western Australia's most acclaimed Master photographers. He has attained his First Gold Bar (Double Master of Photography) honour with the Australian Institute of Professional Photographers (AIPP). Based in Perth, Western Australia, the diverse beauty of this vibrant city provides the perfect backdrop and inspiration for Nick's mesmerizing photography. Specializing in storm chasing, lightning, landscape, and underwater photography, Nick captures Australia's exquisitely beautiful landscapes and each image celebrates the beauty and creative forces of nature. He captures the raw beauty and brute force of lightning storms. Experiencing severe storms offers him a rediscovery and affirmation of the wonder and vibrancy of Mother Nature. While anticipating the next storm, Nick also details Australia's finest landscapes and underwater scenes. Some images seem surreal, but Nick prides himself on using only his imagination and finely developed skills. There is no colour correction, colour balancing, special effect filters, flashes, digital manipulations or coloured gels. All his images are 100% natural, taken with available light and each image celebrates the wonders of creation. Nick's breathtaking images will mesmerize you, as he offers a soothing, yet enchanting photographic journey through Australia's hostile natural powers. His work can be viewed and purchased on this web site. Australian Institute of Professional Photographers (AIPP).